Naming suspects: Trial by media or the right to a free press? Te decision of some media outlets to identify and publish a photograph of Coalisland man Brian Carron while he was being questioned in connection with the murder of Constable Ronan Kerr has yet again raised serious questions about the role of the `fourth estate’? 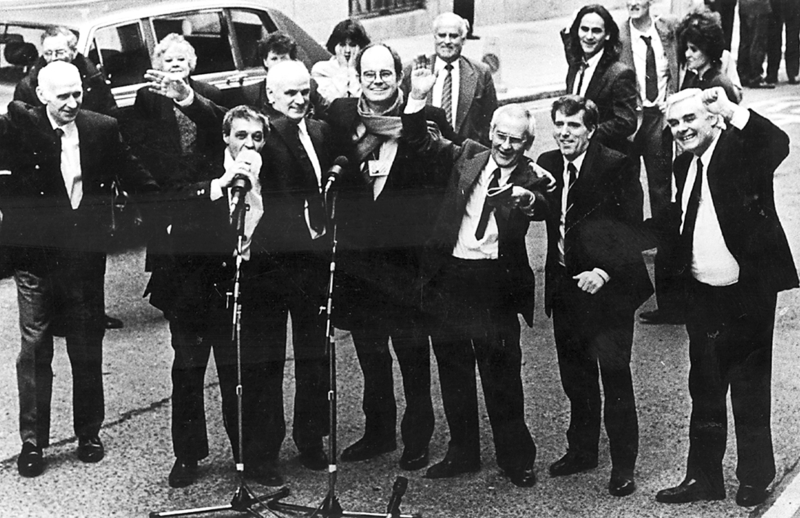 Throughout the Troubles journalists largely abided by an “unwritten” code not to identify a person who had been arrested, until they had been charged with an offence. That code was broken, in some cases, on the grounds that the person was a public figure. However, in the vast majority of cases the individual was not identified by journalists until they appeared in court. In recent years that “unwritten” code appears to have become blurred at the edges, with some media outlets choosing to name individuals who have been arrested and questioned. But is this trial by media or a journalist’s right to report in the public interest? As the law stands the media is entitled to name an individual who has been arrested and to outline the reason for the arrest. However journalists are banned from reporting any other fact which may jeopardise a person’s subsequent right to a fair trial. Earlier this year a number of media outlets reporting on the murder of landscape architect Joanna Yeates reported that her landlord Christopher Jefferies had been arrested and questioned about the murder. A number of questions were later reported in the media concerning the retired school teacher’s private life. Mr Jefferies was later released without charge. He is now suing a number of national newspapers. In 2008 Robert Murat won £600,000 libel damages after he was falsely accused by some sections of the media of involvement in the disappearance of Madeleine McCann. In the 1970s the British tabloids were criticised for inaccurate and unfair reporting in the cases of the Birmingham Six and Guilford Four. Last month English Attorney General Dominic Grieve QC warned that new legislation could be introduced to prevent the media from naming people arrested by police. The warning came after the government’s most senior legal adviser said that some newspapers had reported on the arrest of suspects in a number of high profile cases “in a way that could be quite dangerous”. He said he may consider asking parliament to introduce a ban on identifying suspects until they are charged, but promised he would only act if it became absolutely necessary. “It seems to me that there was a degree of self-restraint which used to exist in national newspapers,” he said. He said there now appeared to be a “frenzied interest” in high-profile arrests until a suspect was charged or released, when the publicity vanished. “There may be some merit in this proposal. “But we did also feel that there were some potential problems. Mr Grieve said he would be reluctant to restrict the right of news organisations “to express themselves freely” unless this was “absolutely necessary”. Former Daily Mirror editor Roy Greenslade says that right to free speech must be guaranteed but questions whether some elements of the media have now “overstepped the mark” in the identification of suspects. “The Joanna Yeates case and the arrest of the landlord was a classic example,” he said. “There’s no doubt that some sections of the media have overstepped the mark in relation to the arrests of suspects in high profile cases. “If people are arrested we do have a right to name them, but we also do have to exercise caution. “Part of this is a police problem, because police like leaking this stuff to newspapers. “However newspapers, especially in regions where people’s lives might be put in danger, have a responsibility not to `publish and be damned’. “They shouldn’t `publish and be damned’ because they’re not the damned ones, it’s the other people that are damned. “I think the issue is how much information we report. “I think we’re duty bound to report that x has been arrested and is being questioned by the police in a certain case. “But if you then give the story a big headline and go into any other background; if you start mentioning other details, then you are on dangerous ground. “You’re implying guilt by association, which to be honest is unfair. Northern Ireland’s leading libel lawyer Paul Tweed warned that more and more ordinary citizens who find themselves being questioned by police are having to rely on super-injunctions to ensure that their identities are not exposed by the press. “There is a huge misconception out there that it is only celebrities who have to resort to the courts to ensure that their identities are not revealed by the media if they find themselves being questioned by police,’’ he said. “This issue goes to the very heart of the fabric of our judicial system. “Every citizien should be entitled to a fair trial and that should include the right not to be publicly identified by the media until they appear in court. “There appears to be an increasing willingness on behalf of the media to name an individual at the first instance, without any regard to the individual’s personal safety.